I love coffee. I make a pot every day and have a cup at my side all morning. Occasionally I run out of coffee and head to a coffee shop, but my preference is to make it at home. It’s a lot less expensive even if I head out before I finish the pot and the most of the coffee ends up going down the drain. Last summer, I broke the carafe on my old coffee pot and had to buy a new one. I purchased an inexpensive Mr. Coffee coffeemaker from Target, but quickly realized it was a mistake. While I had purposely opted to buy a coffeemaker without programmable features since I never used them, I quickly discovered that not having a timer also meant there was no automatic shut off. 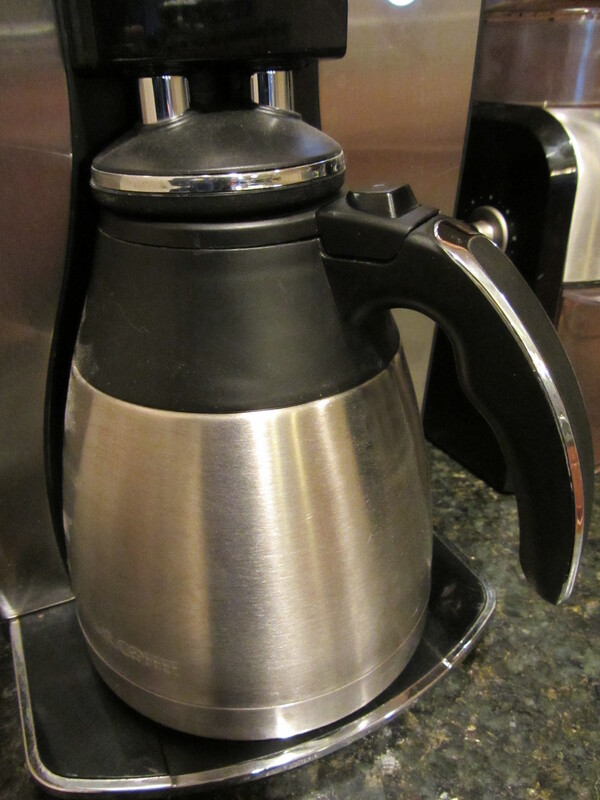 I hate to admit how many times I came home late in the day to discover my coffee pot with a black crust of coffee in the carafe because I hadn’t turned it off. 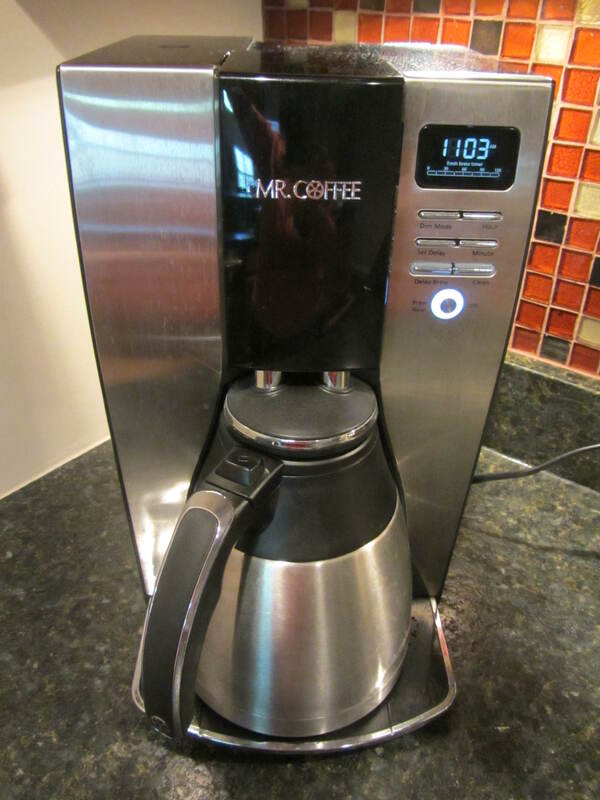 I decided to avoid burning my house down and bought the Mr. Coffee BVMC-PSTX91 Optimal Brew 10-Cup Thermal Coffeemaker . While Amazon has very mixed reviews on this coffeemaker, I decided to give it a try since it was the only coffeemaker with the features I wanted without getting ridiculously expensive. I’ve had it now for several months and would buy it again today. I really love the stainless thermal carafe. The way this coffeemaker works is that it does not have a hot plate that the carafe sits on, so there is no need for there to be an auto shutoff. The coffee brews directly into a thermal carafe…basically a thermos that keeps the coffee hot for hours. You can take the carafe and sit it on the dining room table or even outside once it is done brewing…directly on the table as the outside does not get hot. The coffee stays hot for hours. The coffeemaker does make a beeping sound after 2 hours to let you know that the coffee is past its prime flavor, but I think it tastes just fine as long as it is hot…which lasts for several more hours. I’ll be the first to admit that I’m not a coffee connoisseur. I’m not that picky about my coffee. I’ll drink most of the brands that I find at the grocery store along with Starbucks or Northwest Coffee or Kaldi’s. To be honest, I actually like the Ronnoco’s coffee that you can find at many area gas stations (along with high end restaurants) better than Starbucks. So if you are into the nuances of coffee then you may have a different take on this coffeemaker than I did…or you might not. I have a feeling the final flavor has more to do with the brand of coffee you buy and how you grind it than the coffeemaker. 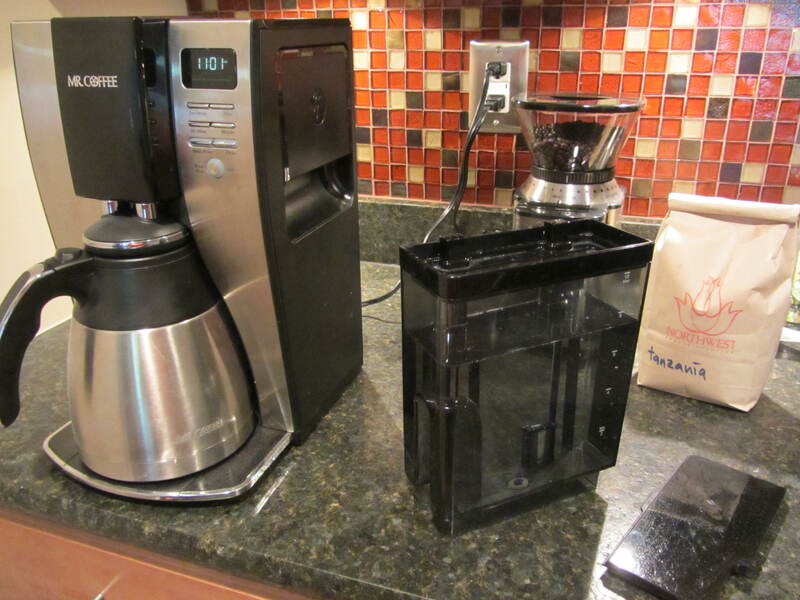 But I’m confident that the typical coffee drinker will like the coffee you get from this coffeemaker. The other feature that I love about the Mr. Coffee Optimal Brew Thermal Coffeemaker is that the water tank can be removed completely and carried to the sink for easy filling. This is extremely important to me. 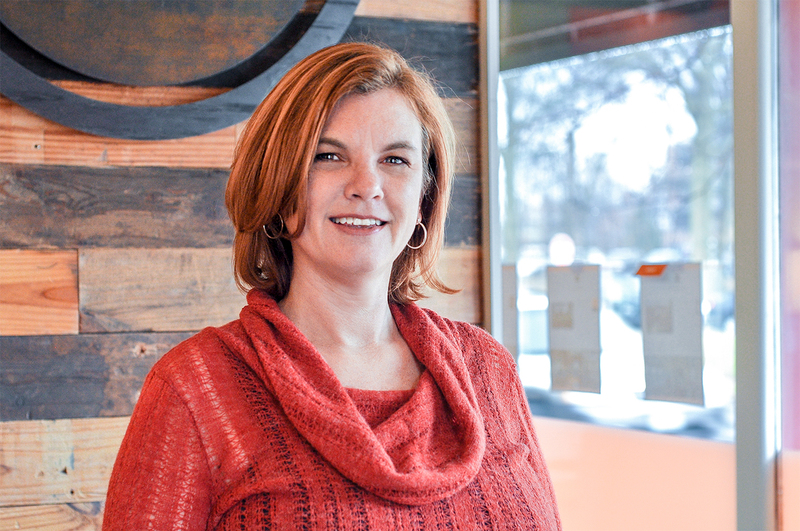 It means that the coffeemaker doesn’t have to sit next to the sink where the faucet can reach it, or make you fill the carafe and then pour it into the tank. The clear tank also lets you easily fill it with the exact amount of water you need. Bottom line, I’m really happy with this purchase and would buy this coffeemaker again.